Sudan, officially the Republic of the Sudan, is a country in north-eastern Africa. It is bordered by Egypt to the north, the Red Sea, Eritrea, and Ethiopia to the east, South Sudan to the south. Its population is 37 million (2013) and GDP per capita of USD 1,753. Sudan is a lower-middle-income country. Between 2000 and 2013, the country reduced the number of malaria cases from more than four million to less than one million. Between 2000 and 2013, the number of deaths due to malaria declined by over two-thirds. 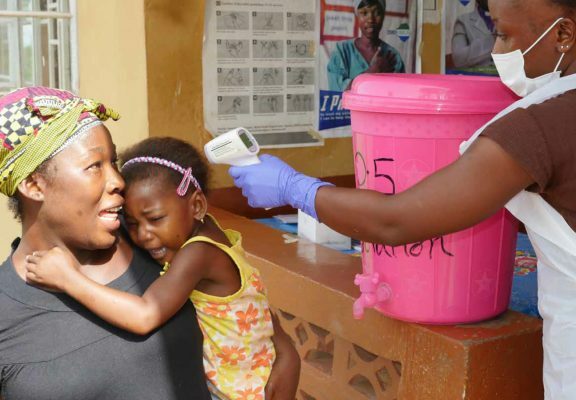 Even then, malaria remains a big concern in the country with 8.7 percent of all out-patient consultations and 11 percent of all inpatient admissions attributed to the disease. Malaria also remains one of the biggest causes of illness and death in children under five. The country has also gained a lot of ground against tuberculosis. Between 1990 and 2013, the number of deaths from the disease declined by over 50 percent – from 53 to 25 per 100,000 people. The HIV epidemic in the general population is still low, with prevalence being less than 1 percent. However, the prevalence is much higher among key populations, who remain stigmatized and in some cases criminalized. Address the crisis in the sector, together with national, provincial, and local authorities and civil society organizations that work in this area. Strengthen primary health care so that the country has an efficient and equitable health system with less duplication. Develop, maintain, and optimize health information, monitoring, and surveillance systems as the fundamental pillars for AHO efforts over the next two-year period. Reduce potential inequities in areas where there have been high levels of development in recent decades, such as human resources, health and the environment, and control of communicable and vaccine-preventable diseases, all of which could be seriously affected by the new scenario. Administrative structure of the AHO designed so that its processes respond to the demands of cooperation activities. Planning, management, and control system of the Expanded Textbook Program operational. Joint policies and plans between the national and provincial level put forward to carry out public health policies. Sub-regional agreements in health and food that promote the participation of AHO staff in specific areas proposed within the framework. The Comprehensive Communication Plan of AHO carried out, generating information that optimizes the available technology, and training provided to local staff in the management of administrative, language, and staff development software. Projects between countries with shared health problems in border areas in development. Cooperation projects for scientific research and technology development between countries operational. Interinstitutional thematic groups to develop bioethics and strengthen the gender approach at the national level established, with the participation of public institutions, universities, and NGOs. Specific projects and initiatives in health and poverty prepared by the Group as part of a structural analysis. To support national officials in configuring a more effective health services model for the country, based on changes prompted by the health crisis. Plans prepared to strengthen the steering role of AHO (at the national level, in provincial ministries, and in municipal health management). Innovative management models and processes for health systems and services under implementation. Health information systems established at the provincial and local levels. Thematic libraries and Virtual Health Libraries (VHL) established, developed, and consolidated. The Information and Communication Management Area established and consolidated. To improve the decision-making capacity of AHO with regard to human resource policies and the regulatory and monitoring mechanisms they require. Provincial and national studies under way, using data obtained from the Human Resources Observatory, and efforts begun for the planning and new management of decentralized human resources and the regulations required for those activities. Public Health Network under consolidation, as well as proposals for changes in medical education and medical residencies required by national accreditation processes. New development policies and plans for nursing and health technicians operational. Programs with multi-sectoral participation promoted to identify, evaluate, and/or control environmental conditions that pose a threat to human health, with emphasis on the most vulnerable populations. Processes proposed to strengthen the capacity of AHO in primary environmental care, and programs to preserve or improve a safe physical environment for health operational. Plans proposed to strengthen the capacity of AHO to prevent and respond to emergencies and natural or technological disasters. Projects and programs designed to strengthen multi-sectoral performance in environmental health and sustainable human development, and an information and training strategy promote to better manage and reduce environmental risks to human health. To strengthen institutional capacity for situation analysis, monitoring the impact of the crisis and optimizing the response to the principal health problems in the new context of economic crisis. Plans and programs proposed for the different levels of the health sector, for the national health statistics and health surveillance systems, and for health analysis and the dissemination of health information. Proposals developed to maintain the capacity of programs to control communicable diseases at greater risk of emergence and re-emergence because of the crisis, including vaccine-preventable diseases, and to develop the capacity for programming and implementing new communicable disease control programs, including support for vaccine and drug procurement processes. Plans and strategies designed to develop the capacity for programming and implementing noncommunicable disease control measures. To develop health promotion policies and strategies in different fields and for different geographical areas, including policies and processes related to the health of mothers, children, and adolescents and reflect the commitments to national and international goals. Public health policy projects developed nationwide through strategies for municipal health, health in prisons, and schools of health. Policies, plans, and programs in development for special programs, such as those that address mental health, violence, epilepsy, tobacco and drug addiction, and for health education. Models and processes prepared to develop national and provincial plans that help to improve health and quality-of-life indicators for mothers, the development of children and adolescents, and the development of permanent food and nutrition programs.